Holistic dentistry is about more than fixing and cleaning your teeth but fixing your health. Any regular dentist will be able to perform standard fillings, but is filling your teeth with metal the best solution? Of course, it is not! Holistic dentistry emphasizes on one’s life and well-being; starting at the mouth. The relationship of health and wellness is what your oral health needs. Luckily holistic dentistry focuses on promoting both health and wellness for patients as there are many benefits to the practice. Let’s take a look at some of those benefits! The mouth is just a single part of the whole human body. Aside from oral health, holistic dentists factor in one’s complete health from head to toe. This allows the doctor-patient relationship to develop stronger with more focused care. Traditional dentistry concentrates on the oral cavity, whereas holistic dentistry considers the link between the mouth and the body. Holistic dentists operate under the belief that physical health goes hand in hand with dental health. For example, poor physical health leads to poor dental health, whereas great physical health leads to great dental health. Under this regimen, a holistic dentist will not perform temporary corrections but perform thorough dental care that is both natural and healthy. Amalgam fillings contain 50% mercury, a toxic substance. The issue with amalgam fillings is that the mercury can escape the filling and get into the body, causing diseases. 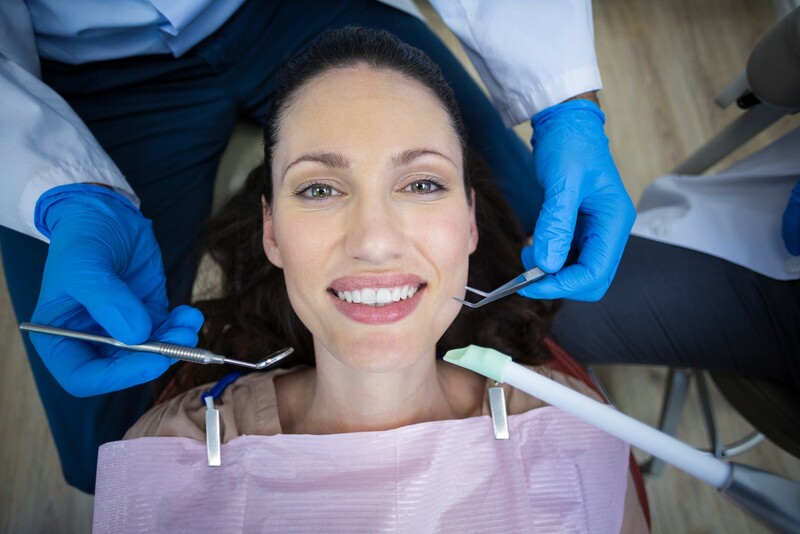 To avoid the risk of Mercury, true holistic dentists take specific precautions when removing them to keep you safe from mercury exposure and believe in replacing them with bonded fillings. Did you know that it was once believed that fluoride can cure cavities? However, fluoride treatments are in fact not as healthy for your teeth as once believed. Fluoride can cause problems such as brain damage, arthritis, dementia, and bone cancer among many other health concerns. Holistic dentists will avoid using fluoride treatments and opt for toxin-free treatments. It seems like common sense to test the body’s compatibility with filling material first, right? However, most dentists overlook how a material will react with your body before a procedure. Holistic dentists conduct a biocompatibility test to determine the best material for your filling. Many people have existing silver or amalgam fillings from a prior treatment from a traditional dentist. Now that we understand the harm mercury can do to your body’s health, most holistic dentists will recommend you have old mercury fillings removed and replaced with safe filling materials. Though helpful, X-rays can leave one exposed to harmful radiation. Holistic dentists will elect to use digital X-rays whenever possible, which are 50% lower in radiation. One of the things that set most holistic dentists apart from traditional dentists is their hesitation to call for X-rays. Painkillers continue to become more and more prominent in the health industry, and dental care is no different. However, a holistic dentist will avoid grabbing the prescription pad after each procedure. This is part of the whole health approach taken by a holistic dentist who will find natural remedies and treatments after such procedures. Holistic Dental Center is inviting everyone to reap the benefits of holistic dentistry and is always offering specials for new patients. Ask your friends, family, and co-workers if they have been to a holistic dentist; if not tell them about the many benefits and the lifestyle. Come meet Dr. Vladimir Gashinsky! Whether you are actively looking for a new dentist or it’s been awhile since you’ve been in the dentist chair. He has been in private practice at his Millburn, NJ office for over a decade, providing exceptional holistic and biological dentistry and surgical expertise in a friendly, home-like environment.